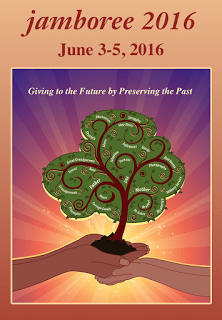 I am excited to announce that I am presenting at the upcoming Southern California Genealogy Jamboree conference held Jun 3-5, 2016 in Burbank, California. The Southern California Genealogy Jamboree is one of my favorite conferences. Despite the “Southern California” part of its name, the conference has a broad scope that is not just regional in focus. The conference includes speakers from all over the country, including leading experts from different areas of specialization. A key distinguishing feature of this conference is the extra add-on “DNA Day” each year that focuses exclusively on DNA for family history—taking place this year on Thursday, June 2nd. Those who are just starting out in researching their family history, as well as veterans who want to further develop their methodology will find the conference well worth attending. If you are planning to attend Jamboree in June, be sure to find me there and say hello! Looking forward to your workshop. Looking for my Dad’s family. He came to the US from San Luis Potosi via Monterrey, San Antonio, Texas, and finally Los Angeles. I have lots of questions and am so excited! So much so I have volunteered to be a room monitor for your workshop. Excellent! My Dad’s family is from San Luis Potosí as well > Laredo, Texas crossing > Long Beach/Los Angeles/Glendale, CA. So a good portion of my teaching examples are using SLP records.